Mycointech products consist of microbial preparations that can be personalized to the customers’ needs. We can manufacture your product according to previously selected parameters such as particle size, the degree of solubility of the product, the microbial species involved, etc. These formulations can range from soluble endo or ecto powders to granular blends that can also incorporate other beneficial microorganisms as such rhizobacteria, trichoderma, or bio-stimulants. Solid microbial formulated in soluble powder with spores of forming arbuscular mycorrhizal fungi. This product is ideal for formulations with “water in” or “spray” applications. The product is available with one or more of the following species: Rhizoglomus intraradices, Rhizoglomus clarum, Septoglomus deserticola, Funneliformis mosseae, Claroideoglomus etunicatum, Glomus microaggregatum and Claroideoglomus claroideum. 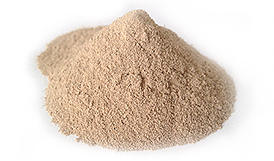 Particle size: 0-120 Microns. Spore concentration: 250-10000 spores / gr. Solid microbial formulated in granular form with spore of forming arbuscular mycorrhizal fungi. 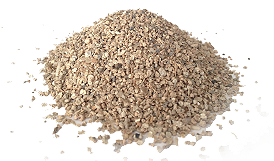 Ideal for granular, microgranular, and other fertilizer mixtures. The product is available with one or more of the following species: Rhizoglomus intraradices, Rhizoglomus clarum, Septoglomus deserticola, Funneliformis mosseae, Claroideoglomus etunicatum, Glomus microaggregatum and Claroideoglomus claroideum. Particle size: 0,5-3mm. Spore concentration: 50-300 spores / gr. Solid microbial formulated in soluble powder with spore of ectomycorrhizal fungi. Ideal for formulations with “water in” or “spray” applications. The product is available with one or more of the following species: Pisolithus sp., Scleroderma sp. and Rhizopogon sp.. 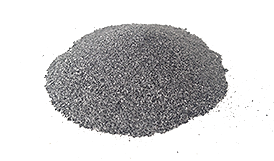 Particle size: 0-120 Microns. Spore concentration: 2x108spores/gr. Solid microbial formulated in granular form with spore of ectomycorrhizal fungi. 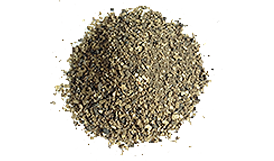 Ideal for granular, microgranular, and other fertilizer mixtures.The product is available with one or more of the following species: Pisolithus sp., Scleroderma sp. and Rhizopogon sp.. Particle size: 0,5-3mm. Spore concentration: 2x107spores/gr.